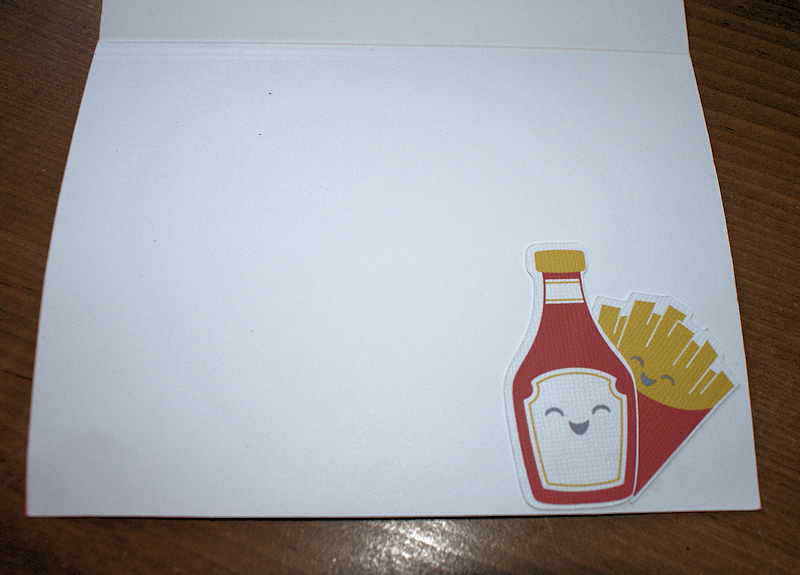 While playing around with the Greeting Cards Inside & Out cartridge I saw the cutest little Ketchup Bottle and FF. 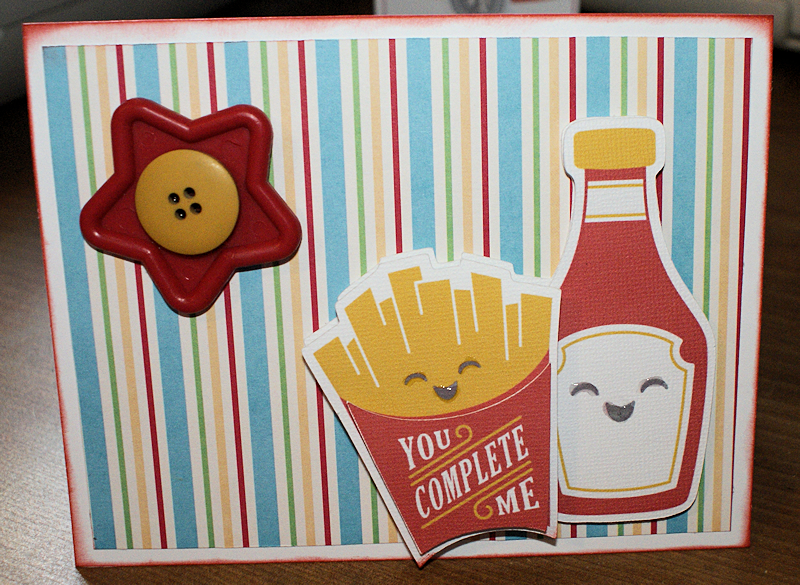 So I decide to make a very quick card for my hubby. Thanks Lissa, He did like it. He thought it was cute. Hey lady. How are you feeling. Received a email from your hubby. Grandson has been here so I very behind. Thanks.. I love he images on the cartridges. LOL....This is sooooo Cute! !Super Duper Cute!! Fabulous creation and lovely bright colours,thank you for joining us at Cupcake this week and good luck. Thanks Louise. I'm happy I found the Cupcake Challenge blog. This is just adorable. I just found you by way of Katie at KTS Angels. I am happy to become a follower, and would LOVE if you would stop by my blog and follow me as well. Thanks Karen. I just visited your blog and it is my pleasure to follow you. Thanks for being my 100th follower. What a cute card...love those faces on the fries and ketchup! I would love any tutorials you might have to help. I used to have the numbered comments, but they disappeared a few weeks ago when I did some changes at my blog???? Thanks sweetie. I just emailed you the link to the only tutorial that I could find to get the numbered comments on my blog. Congrats. Just came from My Craft Spot by Kimberly and you won the Happily Ever After stamp set. Also, thanks for your comment on my fabric challenge entry. I also posted your blog badge button on my blog sidebar (it is listed alphabetically with the rest of the badge blog buttons I have). I was so excited to win the stamp set. I have a bunch if her stamps on my wish list. Thanks for posting my button on your blog. I looked for a button on your blog but could not find one so I just used your profile pic and added you to my Button Swap on the left side bar. This is so super duper adorable!!!!! So darn cute! There's just something about food related images that always catch my eye! !